The European Solidarity Corps is a new initiative of the European Union which objective is to create opportunities for young people to work as volunteers or collaborate in different projects that benefit communities and citizens across Europe. 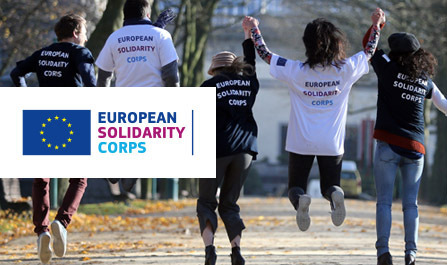 The objective of the European Solidarity Corps is to bring young people together to build a more inclusive society, supporting vulnerable people and responding to social challenges. It offers a stimulating and enriching experience for young people who wish to help, learn and grow. HOW DO I JOIN THE EUROPEAN SOLIDARITY CORPS? After a simple registration process, participants will be selected to join a series of projects. Organizations that are duly accredited and authorized will carry out the projects of the European Solidarity Corps. To enroll the European Solidarity Corps you must be 17 years old, but you can not start the project until you have turned 18. You must finish the European Solidarity Corps project before you turn 31.